DLF Group is very happy to introducing a really world class commercial project labels a complete new commerce model comprise of advance knowledge and skills. Investing in a commercial development is a very hard decision anchored in number of decisive aspects like location, transportation & communication, amenities and facilities. DLF Prime Towers is waiting for you with all these features and more. It is an appreciation of the city’s name as the India’s capital city and its regular yet active development. Considered as a city which offers an attraction of new opening, this is a point where the world does commerce. And here sets DLF Prime Towers - at ground zero of new opportunity. 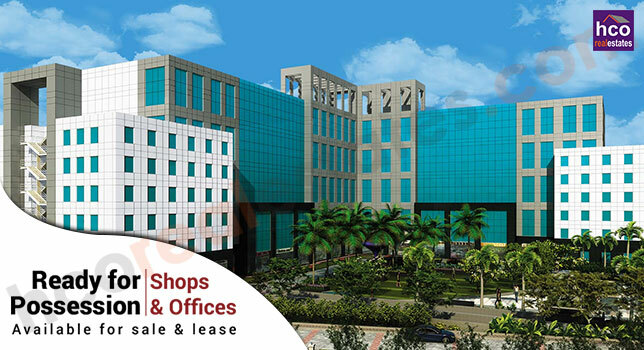 Being a part of this commercial development - a landmark in itself located in Okhla Phase 1 nearby Mohan Co. Op. INDL. Estate, Jasola and Nehru Place, it is well connected to Noida & Faridabad and accessible from Domestic and International Airport. With picturesque sights of the town, this project looks to offer top-notch office spaces & shops which are effortlessly accessible to the many touch points inside & outside the city. Peaked with stylish architecture, DLF Prime Towers moves business district to the point it positions. Its stylish frontage and existence is planned to become successfully stand tall in the middle of other commercial developments. AT DLF Prime Towers Okhla, you can finally get pleasure from the joy of concentrating on what you do most excellentlly. While the whole thing like - repair & maintenance, safety measures and parking - is takes care of, professionally and modestly. A first class specialized facility management group, with an independent service lobby and lifts & escalators at its disposal make sure that every facility is completely maintained every day. At the same time as the best in work force and expertise has been organized to safeguard every feature of your commerce.